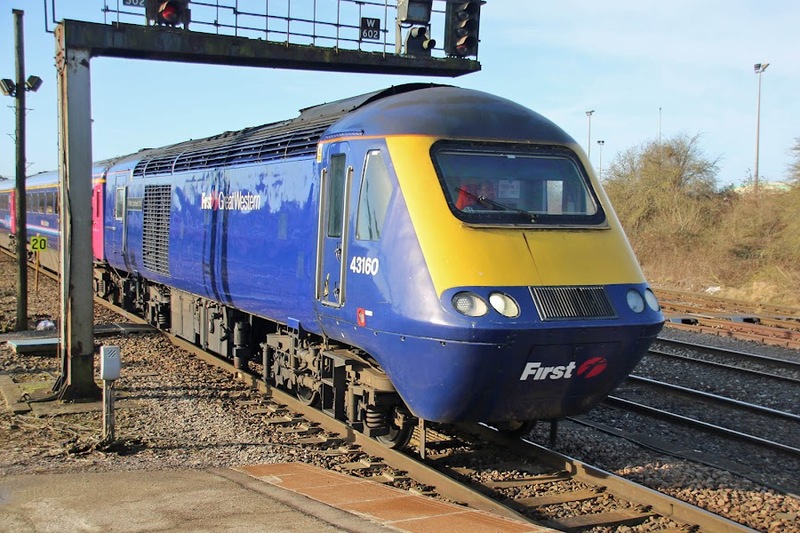 Later this year there will be change change, and some Class 802 units can be expected. although operating in diesel mode on these lines. Meanwhile enjoy the full service of HSTs while you can. 43004 came out of BREL Crewe in March 1976. Owned by Angel Trains. 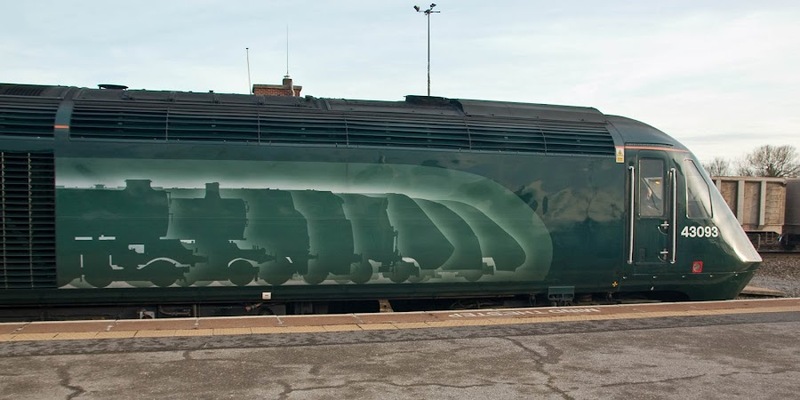 The 'Legends of the Great Western' artwork applied in 2017 on 43093 Old Oak Common HST Depot 1976-2018, which was new from Crewe in June 1978. Owned by First Group, and will be retained. 43160 was new in March 1981. 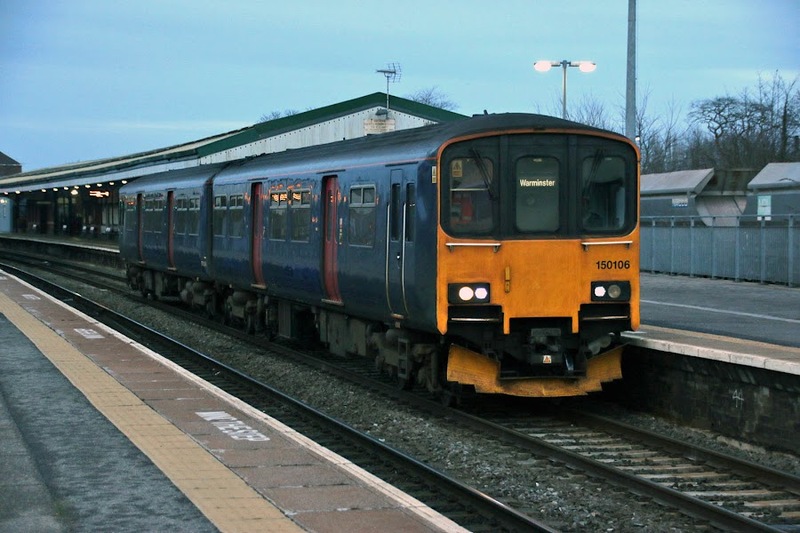 Owned by Porterbrook, this was the last power car to be fitted with a spare cab. 43056 was new in July 1977. 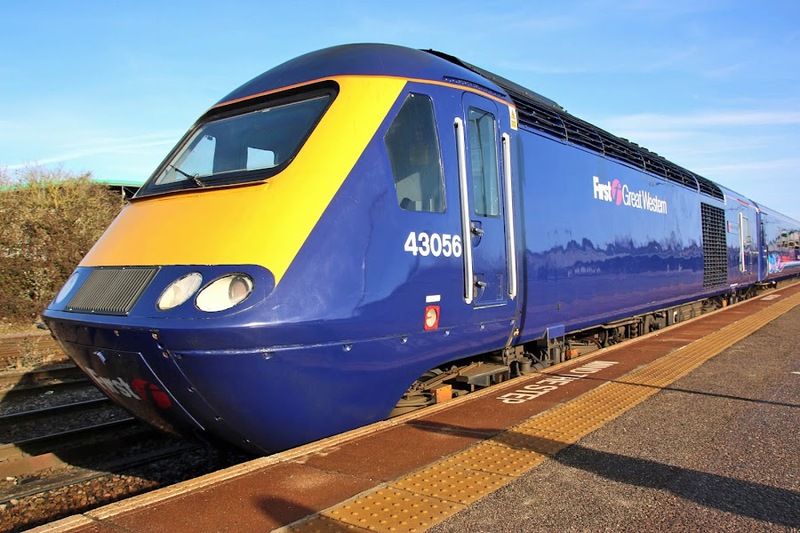 Now owned by Porterbrook. 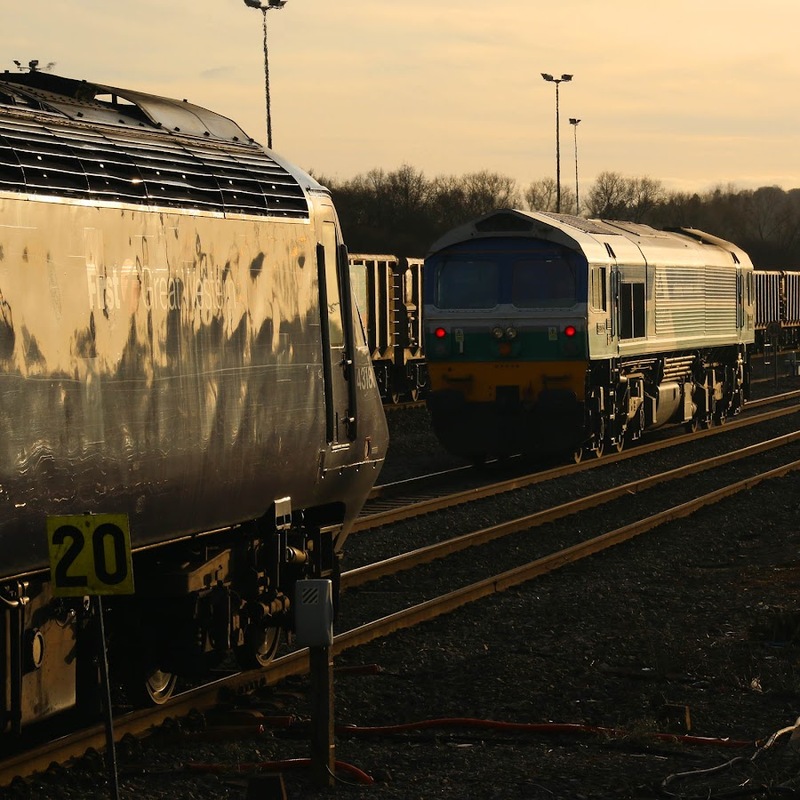 An HST sunset. 43180 (with 59005). New in November 1981 and owned by Porterbrook. Cold with a clear sky - American Midwest like lighting conditions. Also good for passing aviation at altitude. 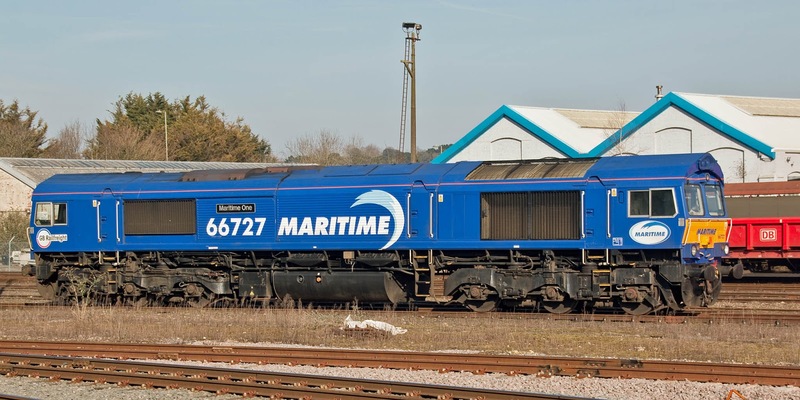 Continuing the American theme, here is 70008 "smokin' like an Alco" on 4O14 07:33 Lawley Street - Maritime. 70003 approaches with 4O27 05:21 Garston - Maritime. At the works 66788 (66238) awaits a return to traffic with GBRf. 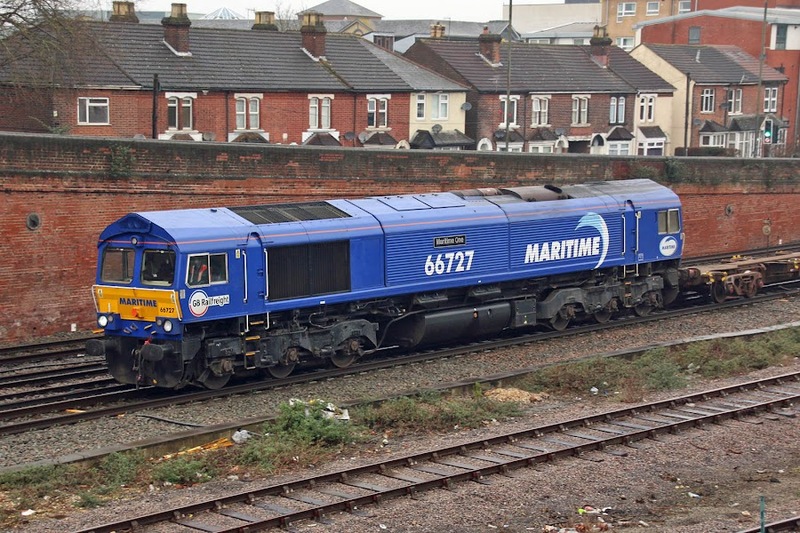 66727 Maritime One continues its residence for workings from Eastleigh. 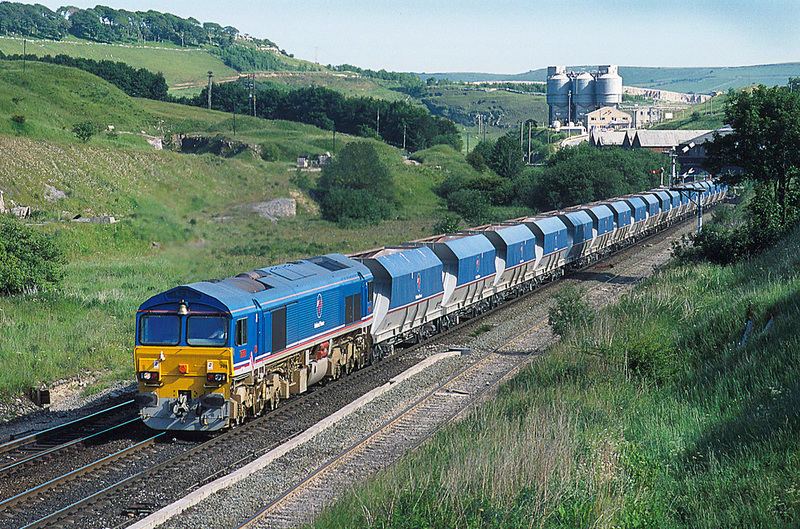 66596 leads 4O90 05:27 Leeds - Maritime.This is one of these leased from JP Morgan / Beacon. 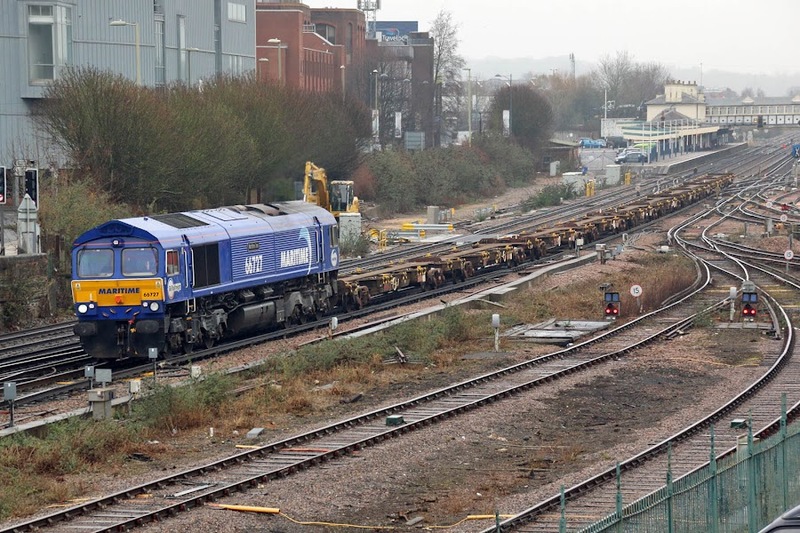 I understand that 66595 may have been delayed awaiting wheelsets for transfer to Poland, but it seems to be at Midland Road this weekend. 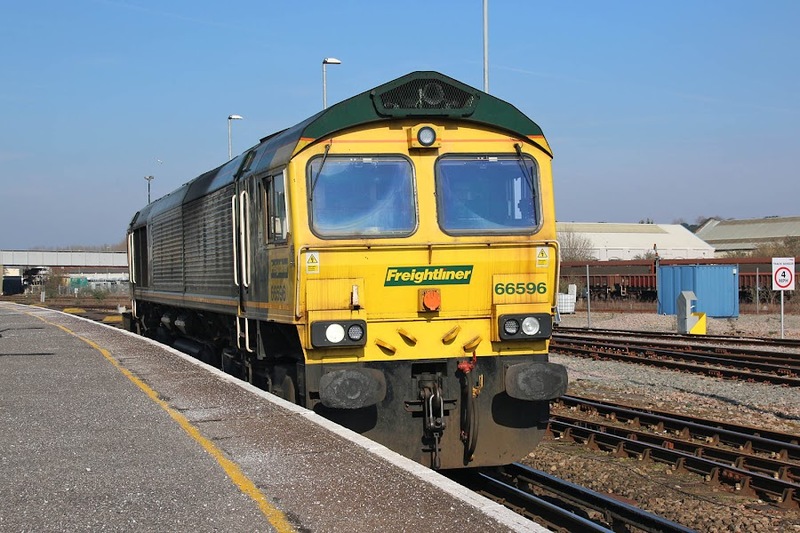 66596 is the next candidate for export after 66595. 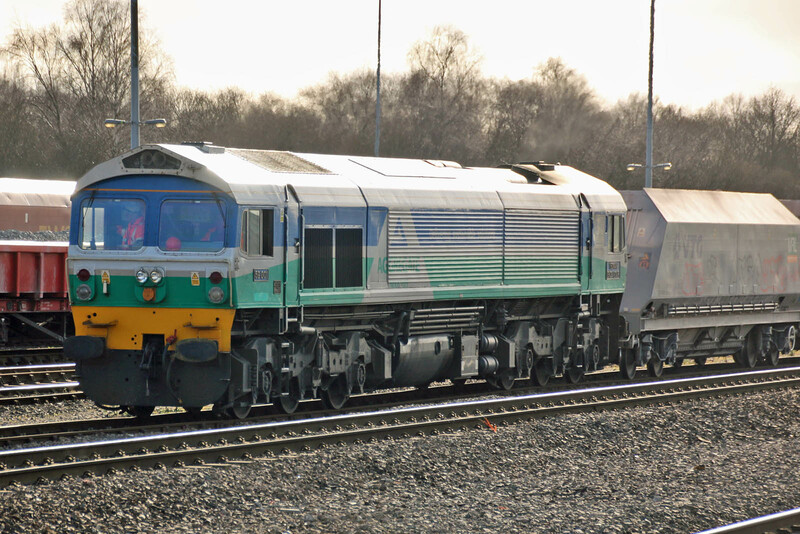 Still in the remnants of DRS 'Compass' scheme, 66413 is at the front of 4O29 08:20 Basford Hall - Maritime. 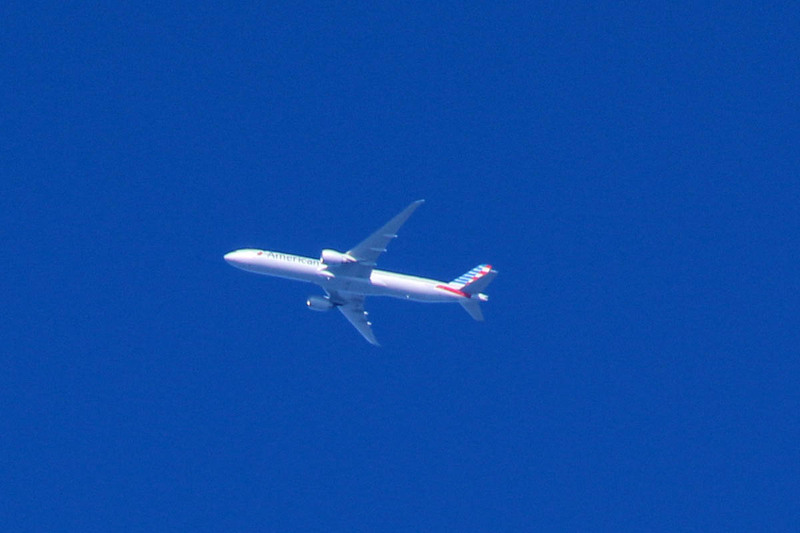 Seen from the platform at Eastleigh, this is N732AN a B777-323ER on American Airlines flight AA39 from Heathrow to Miami, ascending through 16000 feet. 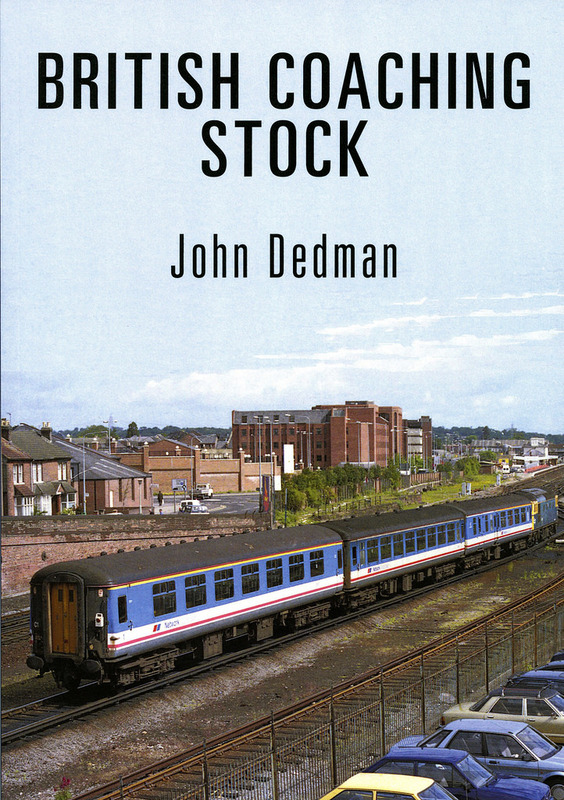 John Dedman, the author / collator of this book lives in this area, so if you are interested in coaching stock record shots, similar to those sometimes seen on these pages, with many of these in settings in this region, then this may be for you. The era covered is that from BR Mk I to Mk III, including some NPCCS. 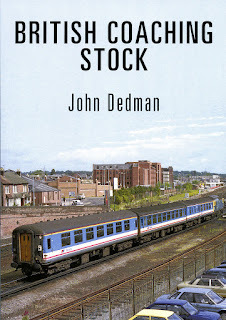 The author started taking the pictures in the late 1970s, which was around the time that the RCTS and Platform 5 started publishing coaching stock books (I still have a very worn Platform 5 1st edition from 1979, which has proven invaluable over time). Available at Amazon and other booksellers. 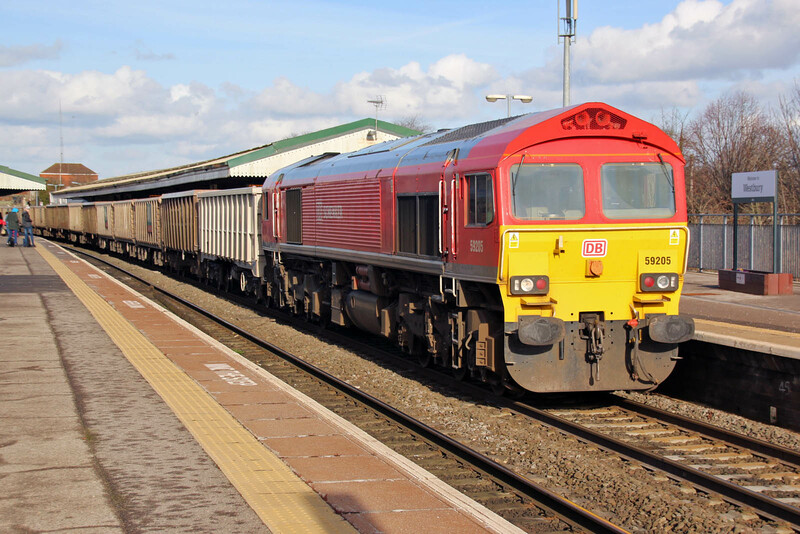 We are mostly familiar with the former National Power Class 59/2 locomotives, for a long time migrated to Somerset and in the ownership of DB Cargo. But what of the wagons from the National Power investment? There were two types of wagons. The larger group were for transport of coal, and the smaller for that of limestone. The coal wagons were of type JMA, and later became HKA renumered to 300601 - 300685, and are still around today. 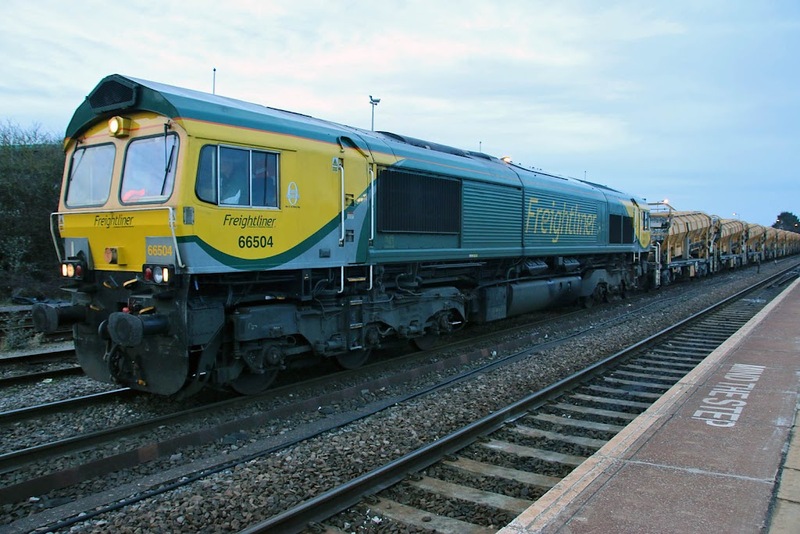 The limestone hoppers were delivered first, from Powell Duffryn SA of France in 1993-94, ahead of the launch with 59201 as type JHA, originally NP19400 - 19420. 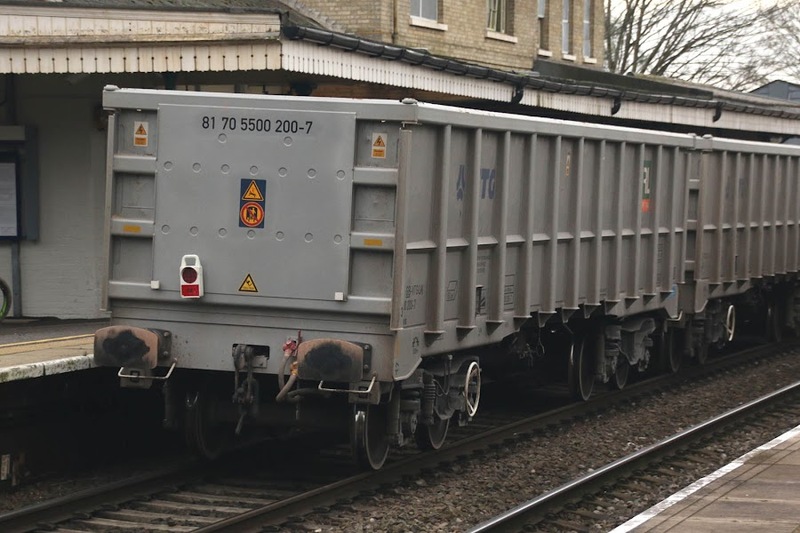 These are shorter than the coal hoppers, and are also differentiated by the three ribs on the lower sides. They were used on a Tunstead to Drax flow, the limestone being used for flue-gas de-sulphurisation, producing gypsum. 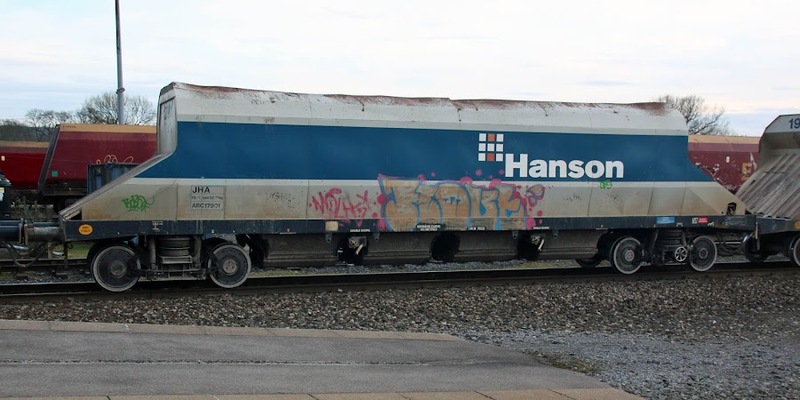 Around 2012 these became HJA 300400 - 300420, also re-bogied at this time. All still seem to be around, and are noted here in the Somerset stone traffic. 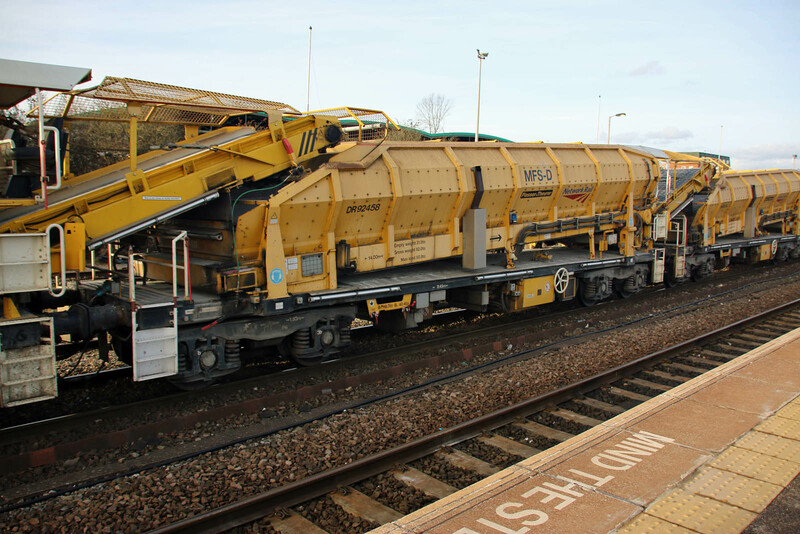 When seen at Westbury, 16 of the 21 wagons were working in 6B35 09:50 Wembley - Whatley. led by 66167. 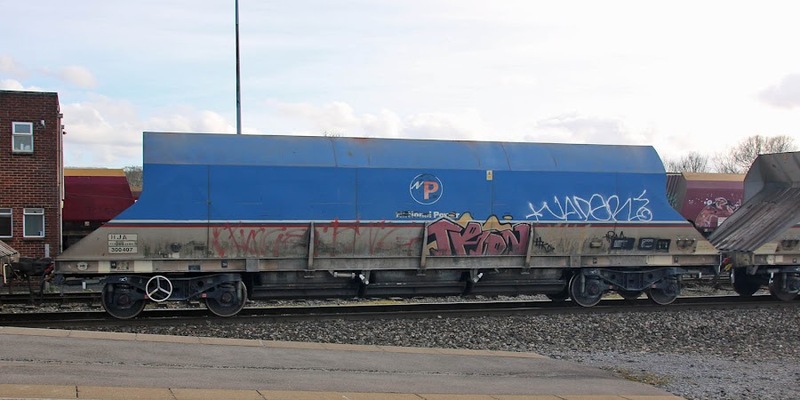 The lineage of the wagons was quite apparent as the masking of the National Power logo has weathered away. This is 300407. This is 300415. 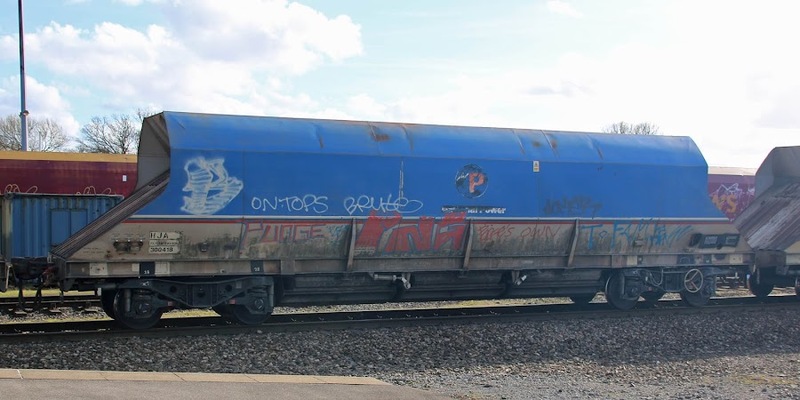 The wagons originally rode on LTF25 bogies, but now run on the Axiom Rail TF25E bogies, which can be considered as developments from LTF25. 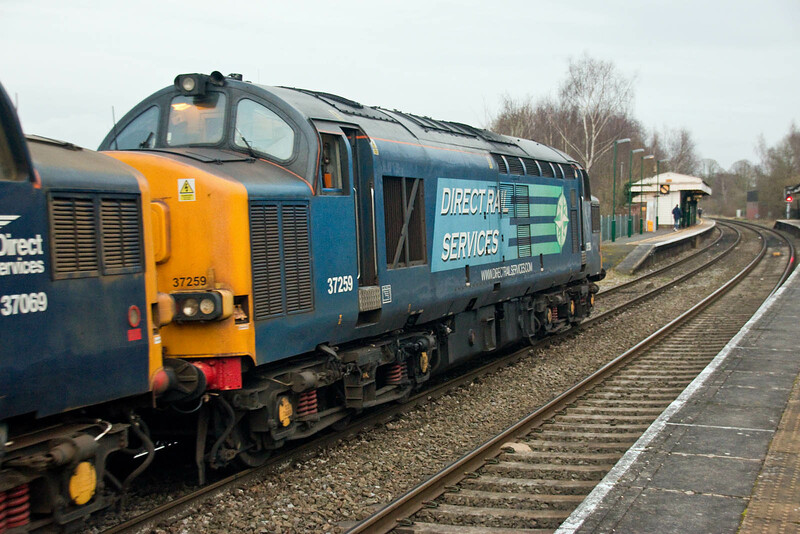 DRS has placed 37606 and 37609 into store. This pair worked 'The Cheshire Cat' tour from Eastleigh in 2016 where this appears to be the most recent sighting of 37606 on this area. 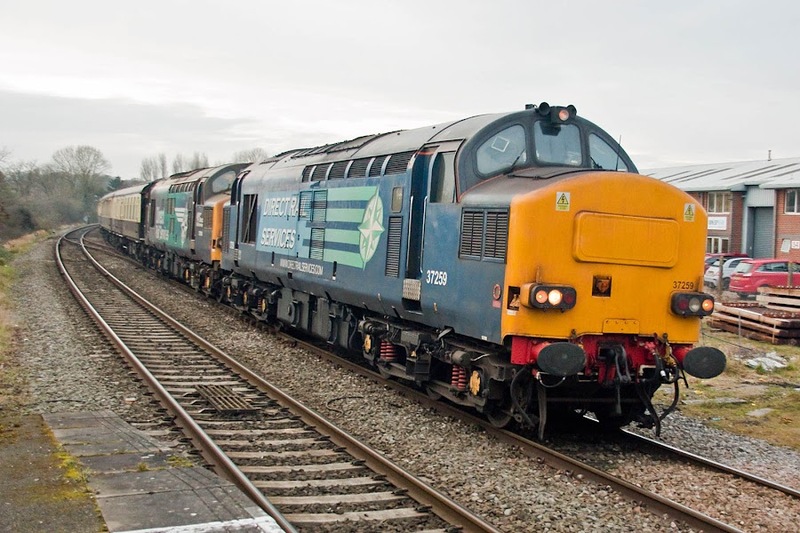 37609 appears to have made its last revenue working on a further Pathfinder tour into Eastleigh on 10th February, thereafter returning to Crewe on 14th as part of a convoy. 37606 was moved to Longtown for storage on 23rd, along with 37604, already in storage. 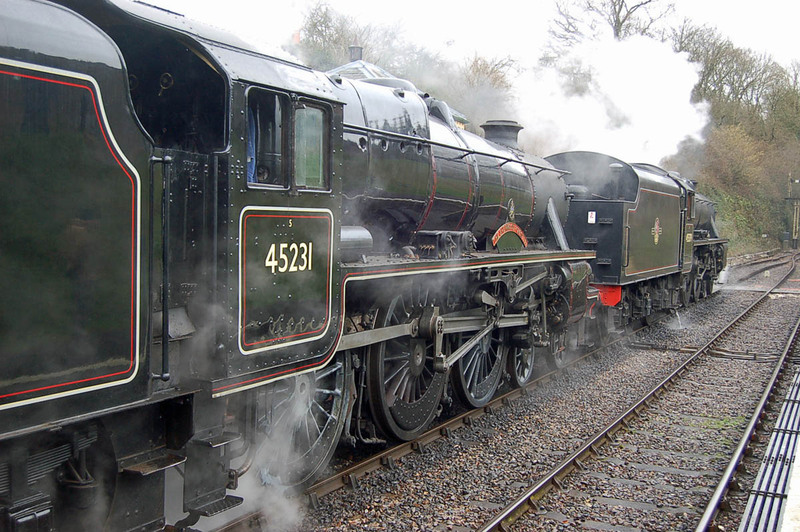 This leaves only 37602 and 37605 of the 37/6 group in service with DRS. This pair are seen on another tour, in November 2015. One part, roughly half of the HOBC4 (High Output Ballast Cleaner). This is a different train from the MOBC which was seen frequently in this area some two years ago. The actual departure was some 25 minutes early, but on dusk. Trailing view of DR 92432 - Ballast Distribution Train Power Wagon YDA NPW-RT. A leading view of the same piece of equipment, this time on the push-back before departure. DR 92444 at the other end, a Materials Handling Train Hopper Wagon, built by Plasser & Theurer in 2005. YDA - MFS-D. In the consist DR 92458, of similar type to 92444. 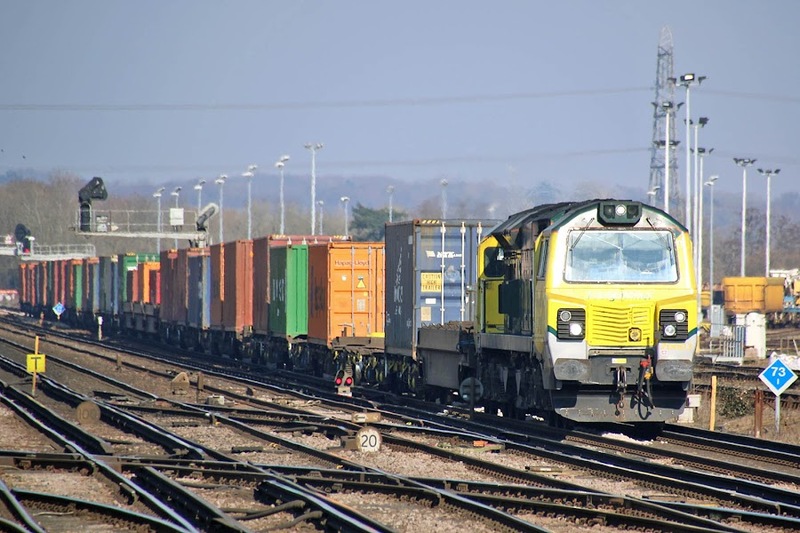 59103 STP 7V52 13:35 Hamworthy - Whatley empties - running on a Monday. 81 70 5500 200-7 is a JNA built by Astra Rail in Romania in 2016. 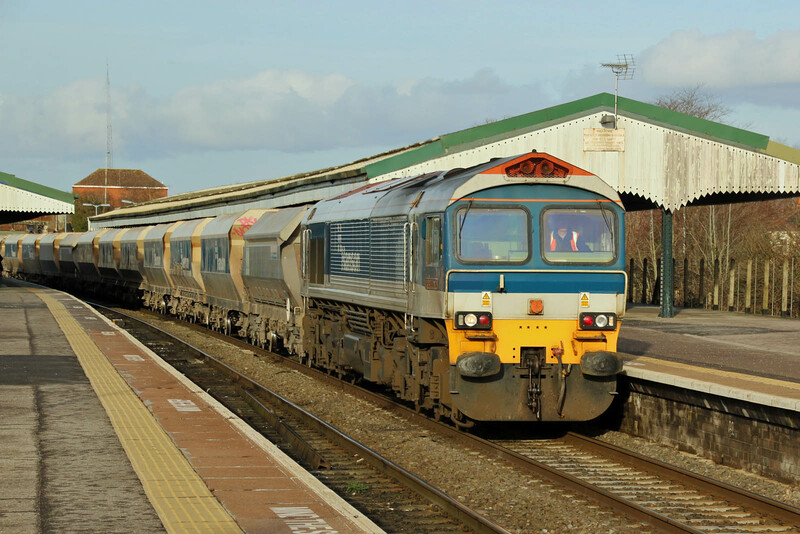 Built as long ago as 1985, at EMD La Grange, IL, arriving at Southampton on 21st January 1986, this is 59001 YEOMAN ENDEAVOUR, now in Aggregate Industries colours. 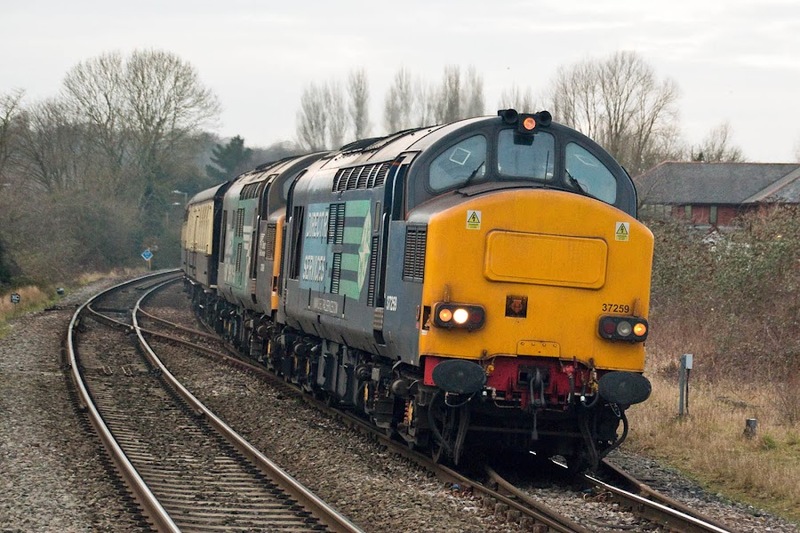 Seen here with 7O40 13:35 Merehead - Eastleigh, which it will proceed to run around. 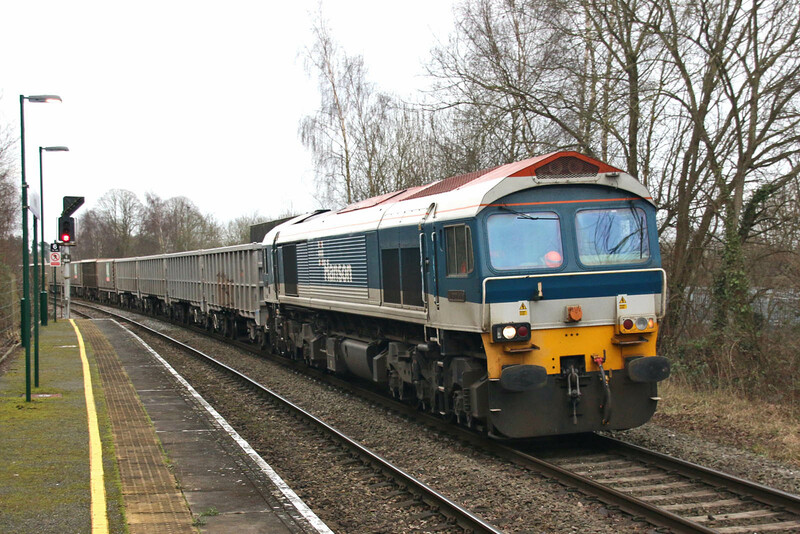 From the same 1986 delivery, 59002 ALAN J DAY is leading 7B12 11:35 Merehead - Wootton Bassett. 59102 Village of Chantry entered traffic for Amey in November 1990, being delivered from GMD at London, Ontario. 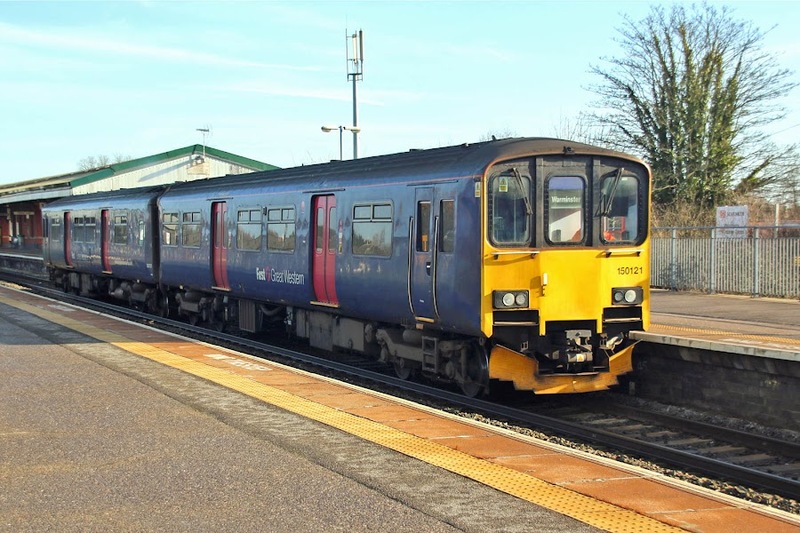 Seen here running around the 7V52 12:35 Hamworthy - Whatley, a service which may now last only a couple of further months. 59103 Village of Mells similarly entered traffic for Amey in November 1990, the business rebranding as Hanson in 1999. 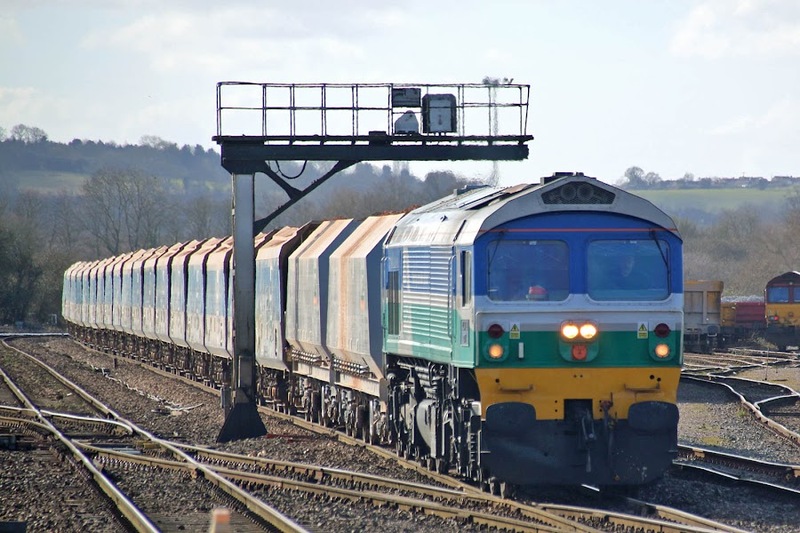 The most visible modification from the 59/0 group is the change to BR standard Wipac light clusters, which currently are being replaced by LED units on some Class 66 locomotives. 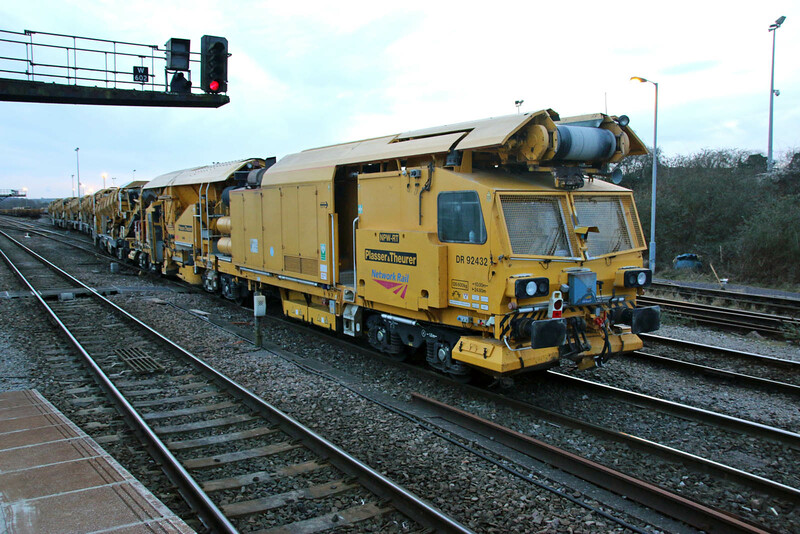 Here seen working 6L21 13:30 Whatley - Dagenham. 59104 Village of Great Elm leading 6V18 11:20 Allington - Whatley. This loco entered traffic in November 1990 along with the two above. DB Schenker 59205 was originally delivered to National Power from Canada in August 1995, and carried the name Vale of Evesham. 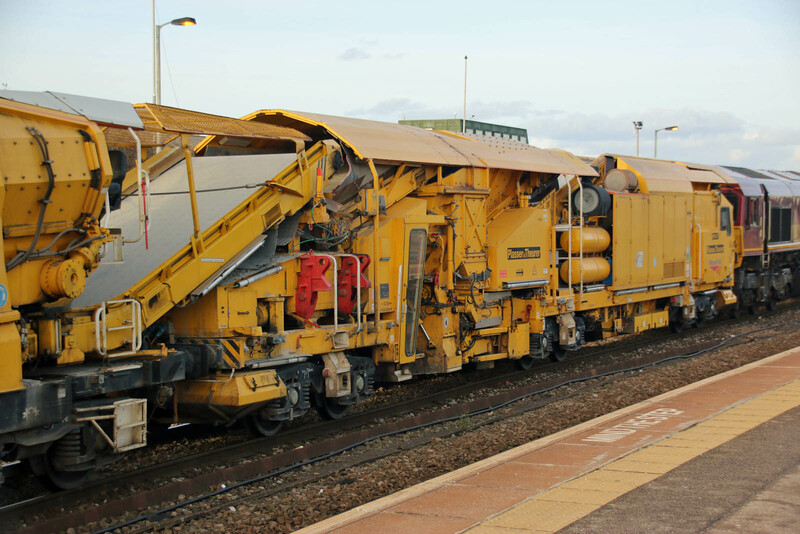 National Power's rail operations were short lived, and were passed to EWS in 1998, eventually being supported by Mendip Rail from the 2005 period, with concentration upon the aggregates workings. 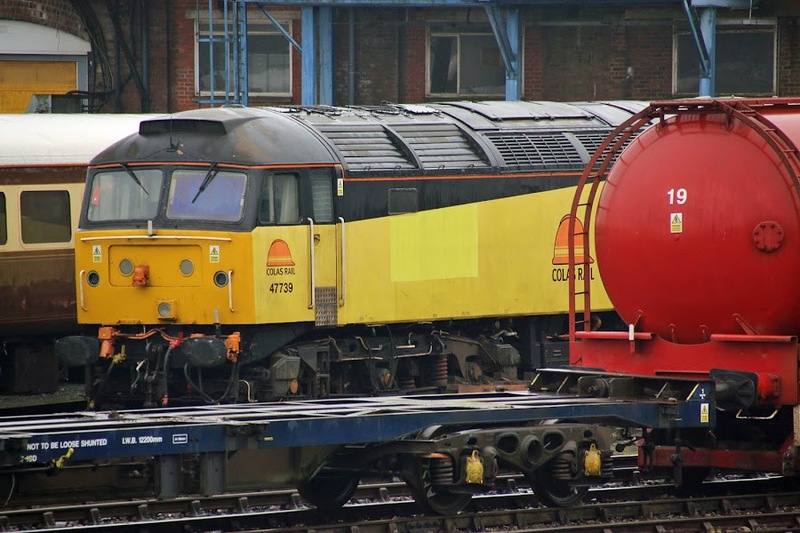 Here seen in charge of 7C77 12:38 Acton Yard - Merehead. 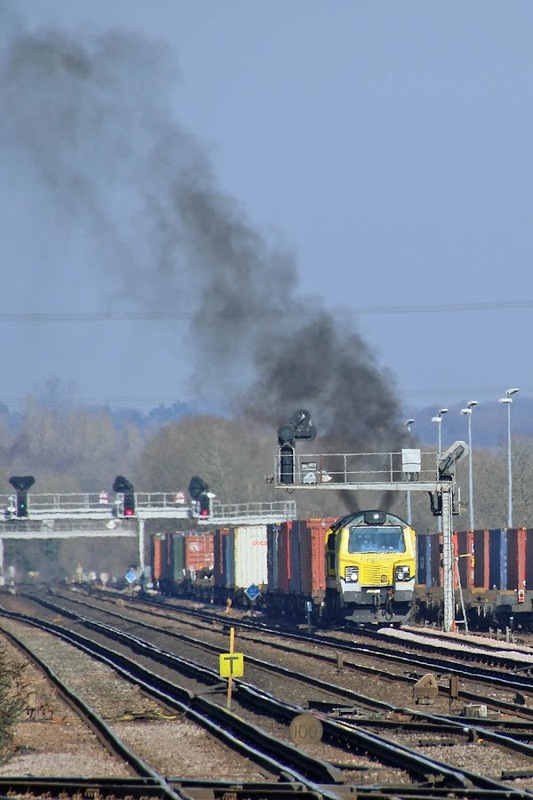 Seen passing Romsey 37259 + 37069 on 5Z98 14:10 Gloucester - Eastleigh empty stock working following Saturday's Pathfinder tour from Gloucester to Carlisle and return. 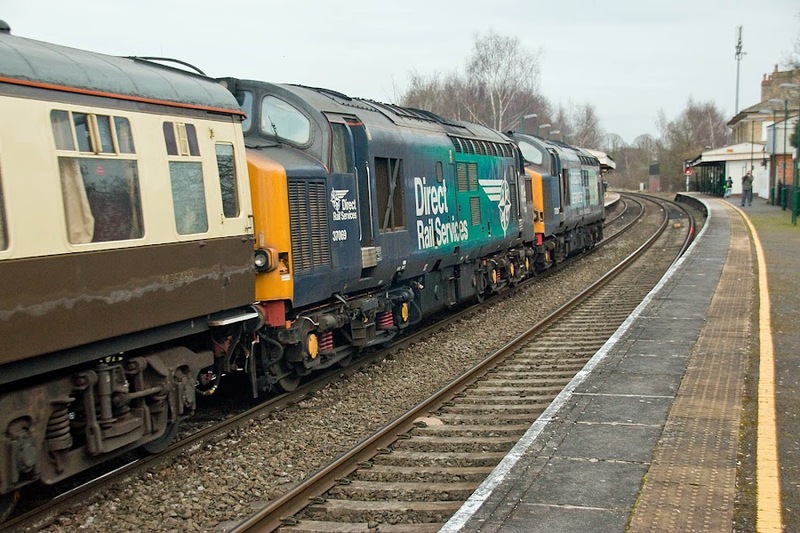 Notably, 37259 still wears the DRS 'Compass' colours. 37259 was new as D6959 from English Electric Vulcan Foundry on 13th January 1965, allocated to Sheffield Darnall. Renumbered to 37259 in March 1974, then to 37380 in June 1988. Stored unserviceable in February 1999. Allocated to Cotswold Rail and moved to Moreton-in-the-Marsh in September 2001. Then to DRS in September 2002, as 37259. Stored March 2011 - February 2012. 37069 history was covered here on 11th February. Further pictures of this ECS working. 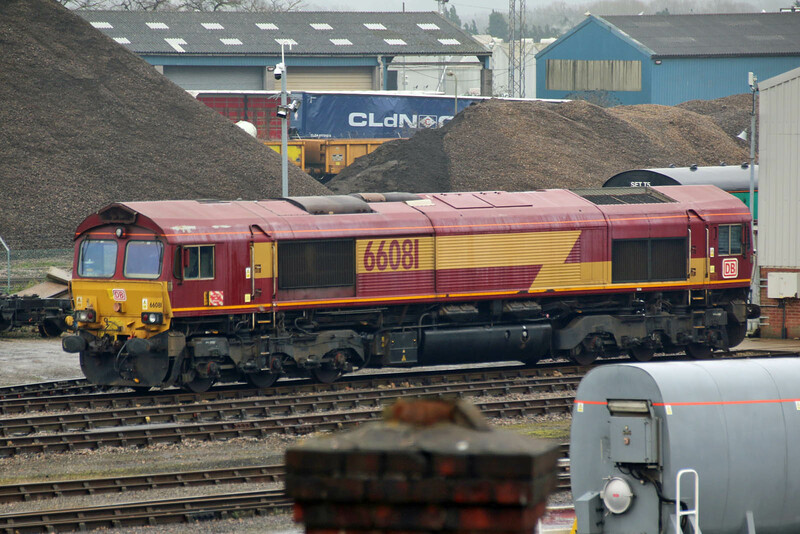 Seen in the late morning, 66788 was formerly 66238. 66081 sits behind. Image by Ian Knight. Just a few minutes at Eastleigh, before shuffling on to Asda. There was a 3rd rail problem on the up line in the Winchester area, and several down freights ran by Laverstock and Romsey. 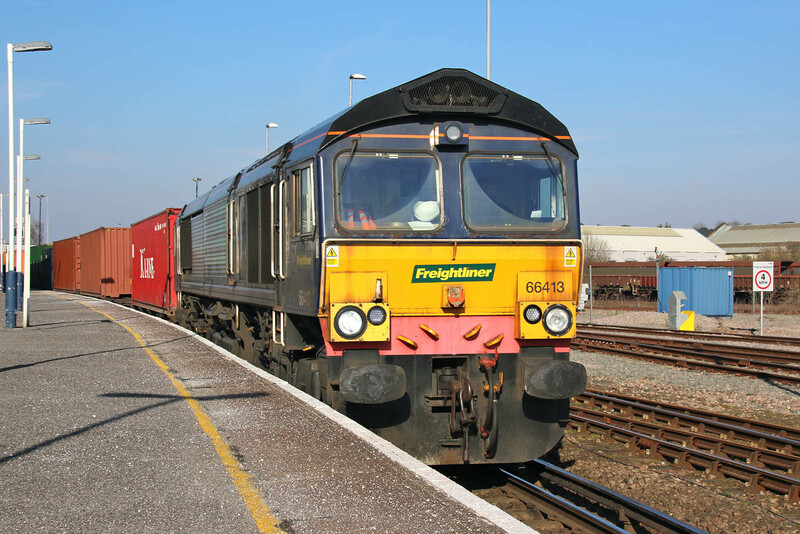 66727 Maritime One had run via Laverstock, and took up its planned route again at Eastleigh, 6O45 07:38 Bicester - Marchwood. A closer view of 66727. 66081 awaits its turn at the works to become 66784. 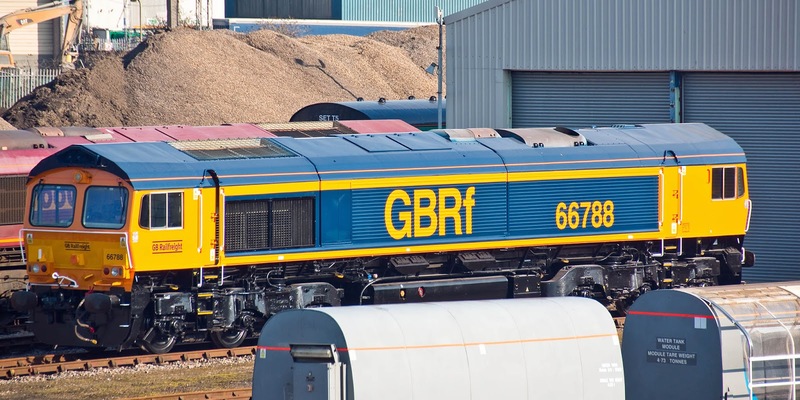 Similarly 47739 awaits new GBRf colours. 08879 was noted shunting the Riviera stock, here with 21272, and 1813 to the left. ARC (Amey Roadstone Constuction) 17901 is the only JFA, which served as the prototype for the Amey JHAs, and is even marked as such. It works amongst them in the Whatley based pools, seen here in 6C76 14:39 Acton - Whatley. 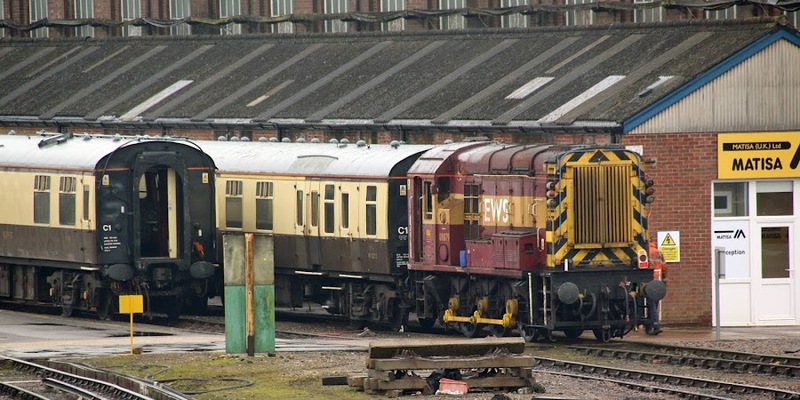 Originally built in 1989 as as a PHA (P for Private Owner) by Standard Railway Wagon at Heywood Works to their Contract Number 126 and numbered SRW 17901. 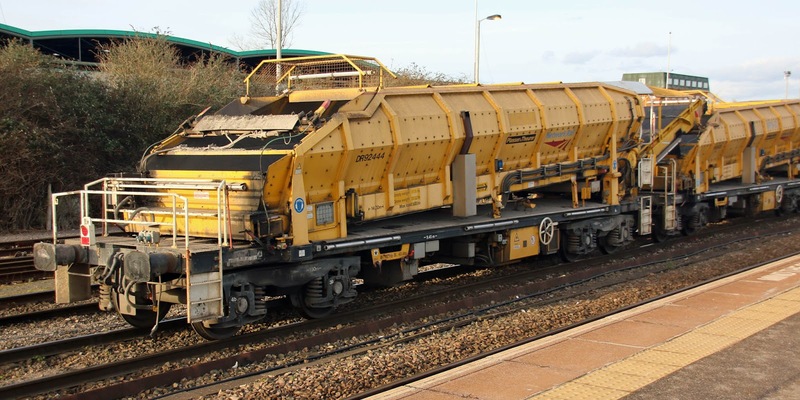 The wagon is specified at 102 tonnes (80.3 capacity, a first for steel construction at the time, + 21.7 tare), and runs on Gloucester LTF25 low track force bogies. 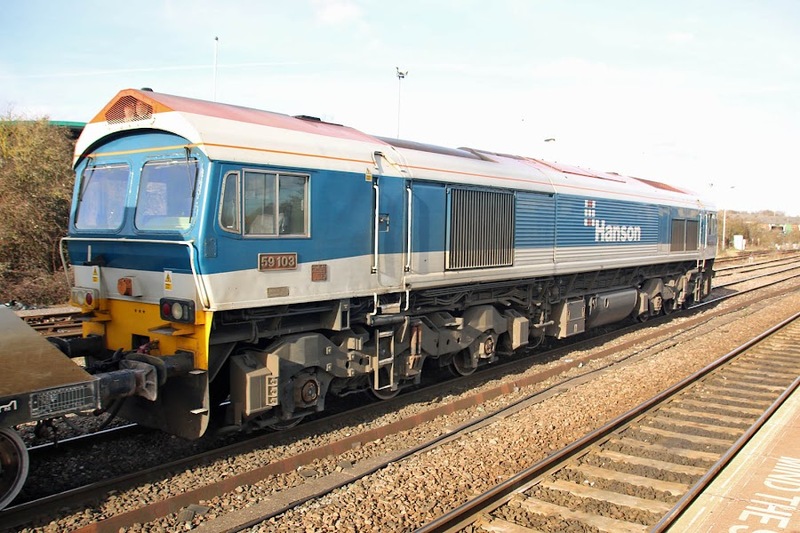 Sold to ARC as part of Contract 134, changing ownership prefix from SRW to ARC, and reconfigured as an outer wagon. 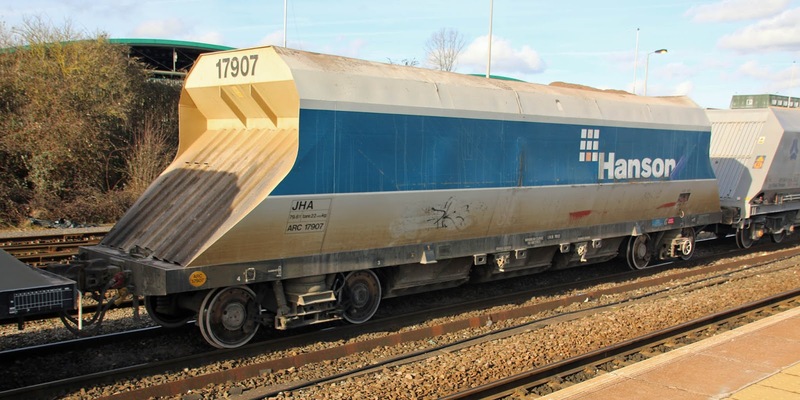 From the production batch of JHA wagons, this is ARC 17907. There are a number of clear differences. 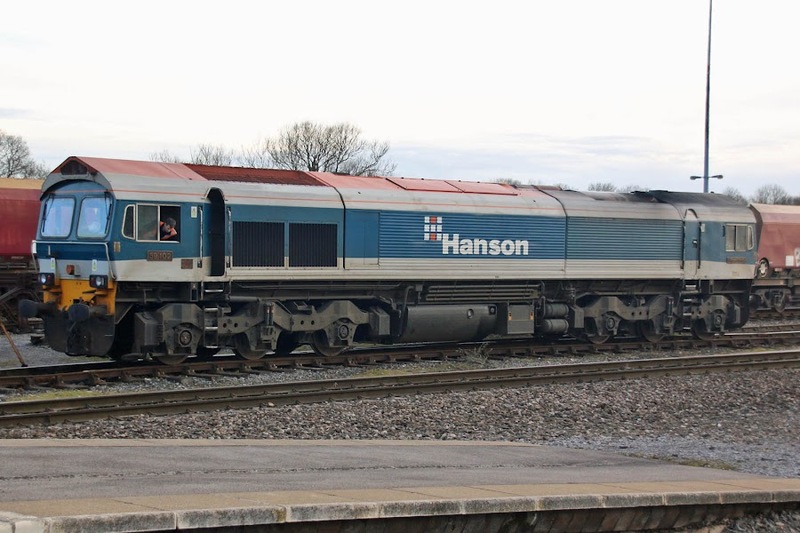 The outer wagons are numbered 17901 - 17932, and the inner wagons are 19800 - 19891 from Standard (by then Powell Duffryn Standard) Contract 134 of 1990 added to by 19892 - 19913 from Procor at the same time. The Class 150/1 dmus are now being phased out as the 166s arrive in the Bristol based allocations. 150106 and 150121 were seen through the day. 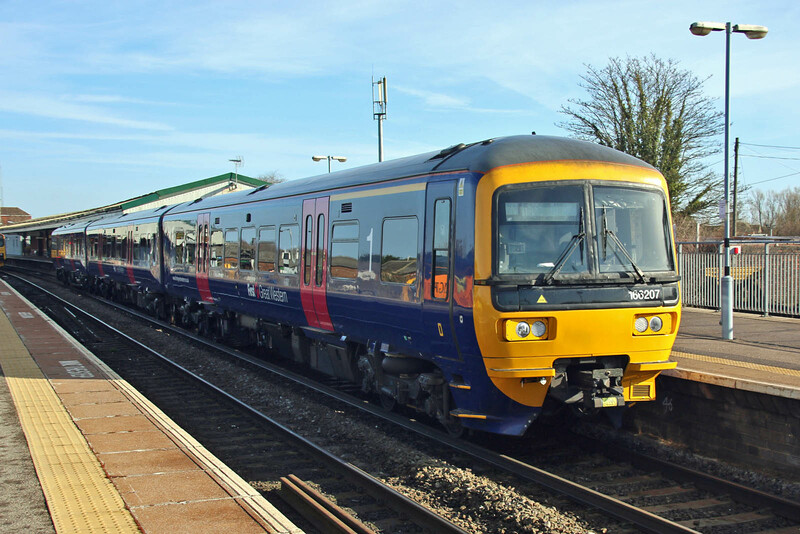 Seven sets are expected to depart by 14th April, leaving 150125 / 126 which are the basis of 3 car units 150925 / 926. These will lose the centre cars and continue to run for GWR. 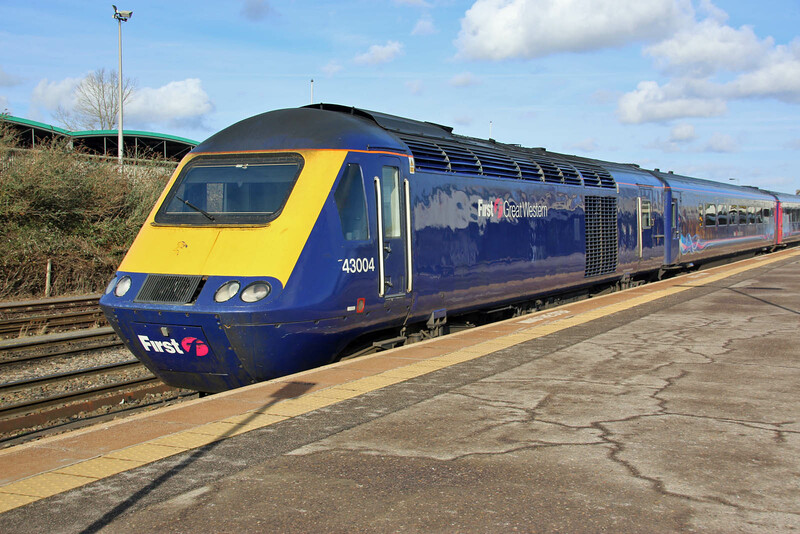 Prototype units 150001 / 002 appear to be being retained by GWR - they may not have been wanted elsewhere. 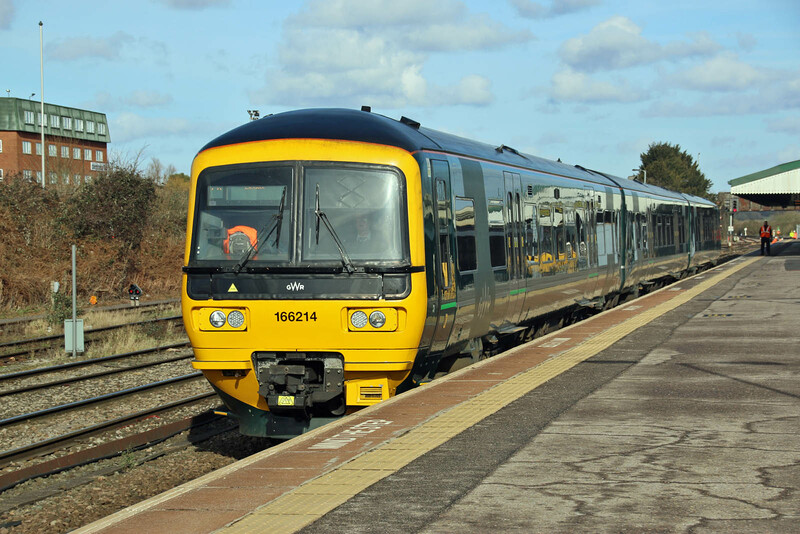 All 153s will be removed from GWR service this year. 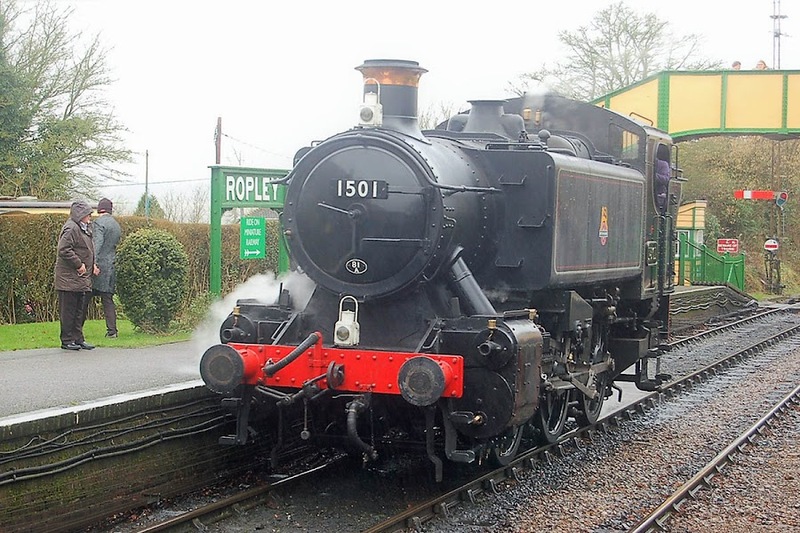 150121 is seen departing with 2F94 10:08 to Warminster. 150106 has been de-branded, and came off-lease the next day on Saturday 17th, for movement to Barton Hill and then later onwards to Northern. Seen leaving with 2F96 17:11 to Warminster. Class 166 dmus are now working regularly to Westbury, with some onward workings to Weymouth, Frome, Warminster and Salisbury (early in the morning). While all have the Ride Height Modification, marked by a yellow triangle, the livery and refurbishment status seems to be varied by unit. 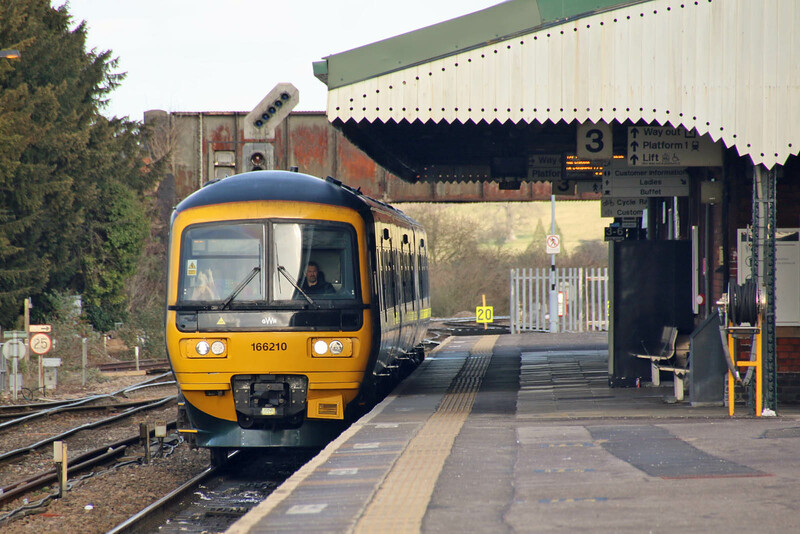 "This service was cancelled between Yeovil Pen Mill and Weymouth due to disorder (VA)." 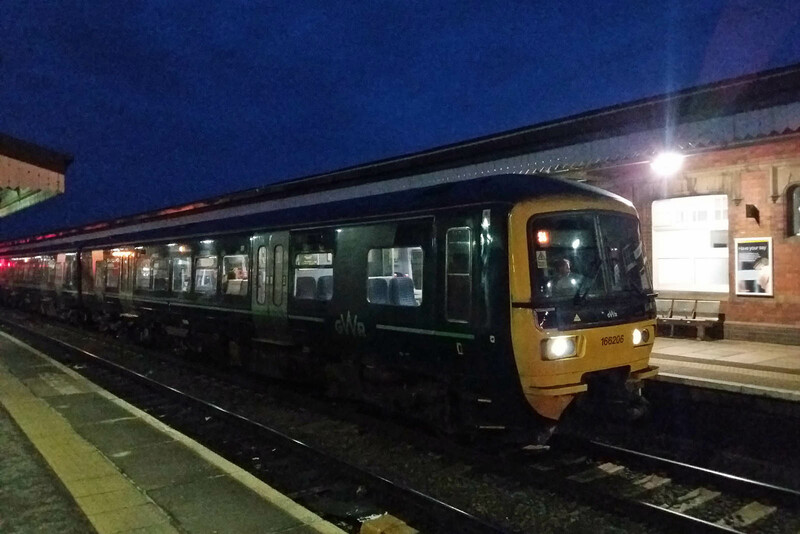 166210 is in GWR green. 166206 only put in an appearance in the early evening, this example again in GWR green. 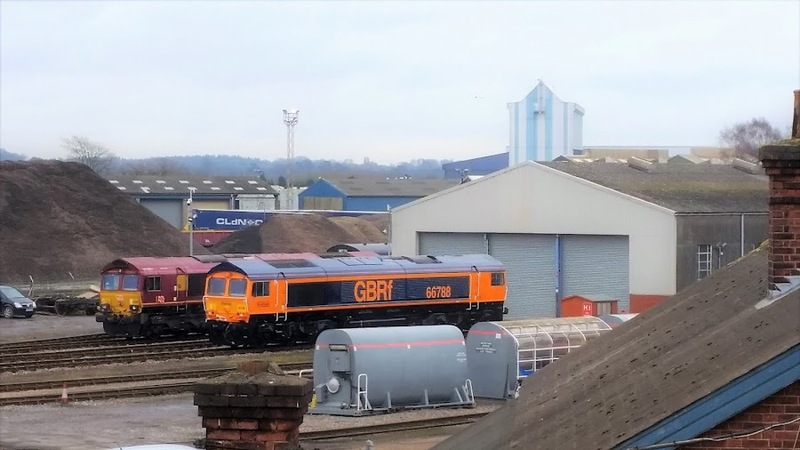 66081 has arrived at Eastleigh Works for transformation into 66784. It appears to have arrived via a Bicester MOD working on the 14th. Hamworthy Stone: may finish in March - April: "It is believed locally that the owner of the site at Dawkins Road has served notice to the Tenants as they want to redevelop the land for housing" - but I am confused by this as the Dawkins Road site is a group of industrial units near Hamworthy Junction, whereas this is the Cemex facility at the quay. Apparently stone was transshipped for supply to the Channel Islands.The location could be highly valued for marina style flats. 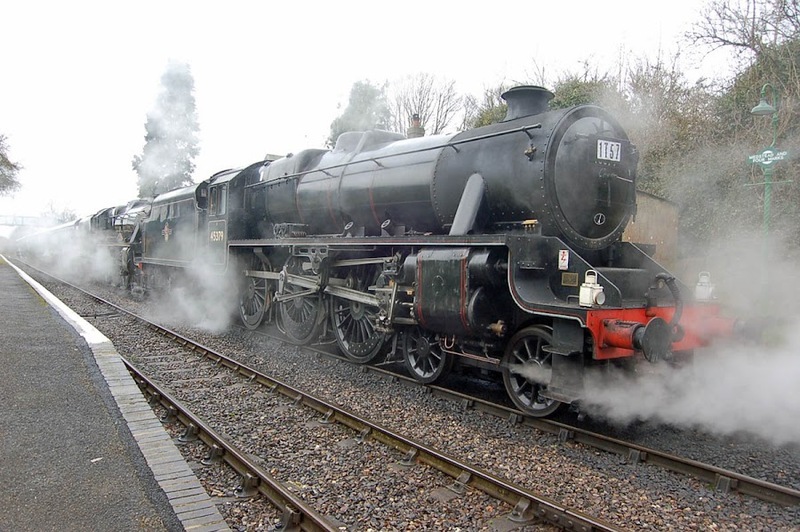 LMS Black 5 pair 45379 + 45231 at Medstead (2 pictures). 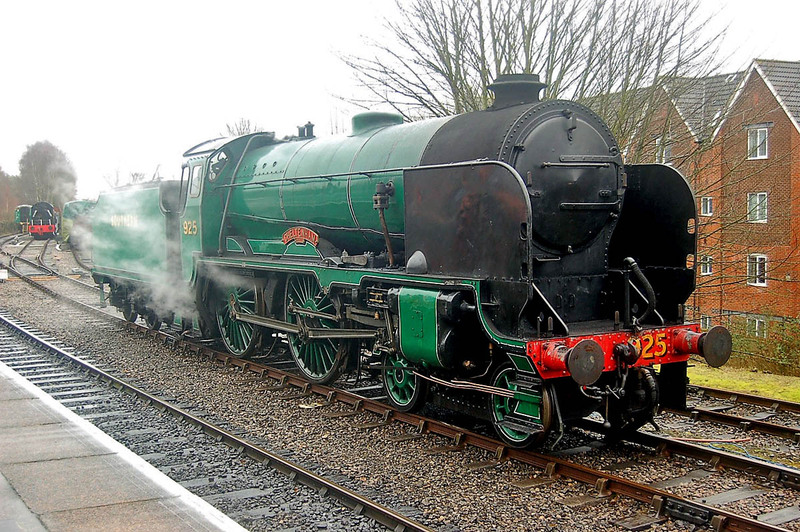 SR 925 Cheltenham at Alton.